2017 Guide to Ninth Grade Counts Summer Programs now available! 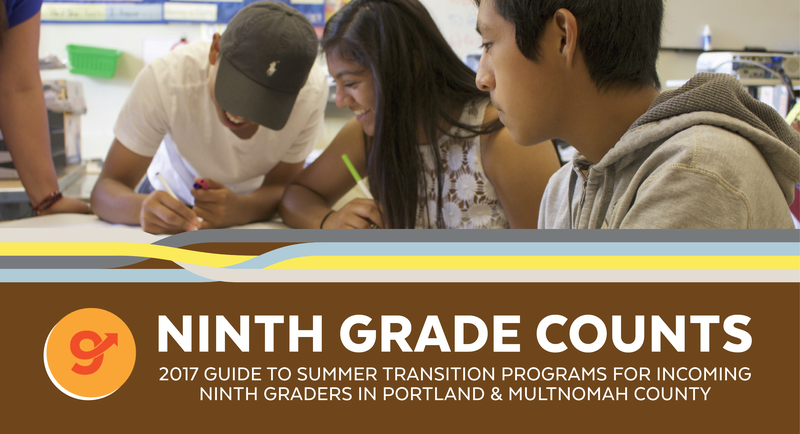 The 2017 Guide to Summer Transition Programs for Incoming Ninth Graders in Portland and Multnomah County is now available in multiple languages! School and community partners use it to help Academic Priority eighth graders get a jump on high school and connect them with a positive summer learning experience. The guide lists the school districts each program serves as well as the program dates, locations and contact information – in an easy-to-print format. Each program is either free or has scholarships available to cover the cost of enrollment. Please reach out to the contact person listed for more information about a specific program or to enroll. Learn more about All Hands Raised’s work to improve the ninth grade transition here.